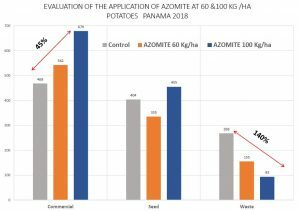 AZOMITE® trace minerals have been reported to improve root systems, yields and general plant vigor in a variety of soil crops. 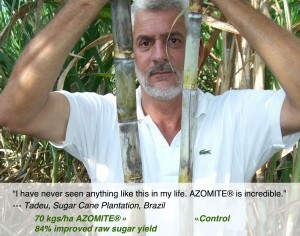 AZOMITE® helps remineralize nutrient-depleted soils. 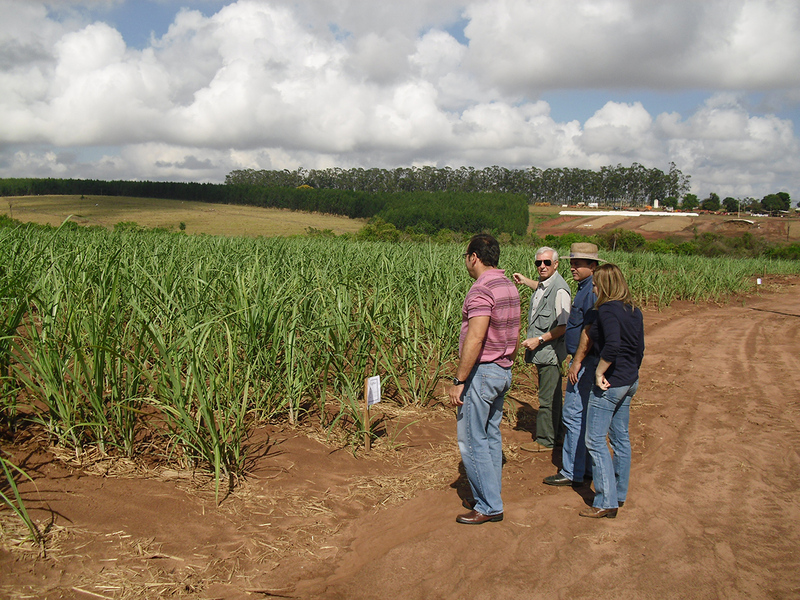 Recommended initial application is 75 – 150 pounds per acre (75-150 kgs per hectare), followed by an annual maintenance level depending on the crop and soil conditions. 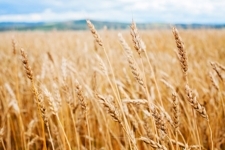 Soil additive guidelines. A 2018 commercial potato trial in Chiriqui, Panama showed 45% more potatoes vs. control at 100 kgs/ha. AZOMITE® Wheat and Tomato Study Terry A. Tindell, Ph.D., Utah State University, 1989 AZOMITE® Figs bear more Fruit in Big Sandy, Texas AZOMITE® Plantain Trials Cameroon AZOMITE® Coffee Cacao/Cocoa – The Indonesian Center for Coffee and Cacao/Coca Research (Summary Cocoa/Cacao handout). 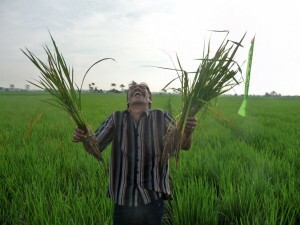 Several side by side tests were conducted at rice farms in Indonesia, Malaysia and Cambodia. The full study can be downloaded here. 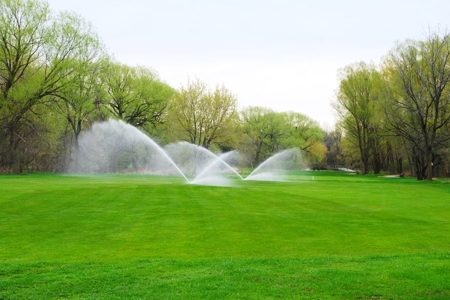 Lawns, Shrubs and Trees AZOMITE® trace minerals have been reported to improve root systems, yields and general plant vigor in a variety of soil crops and garden vegetables. 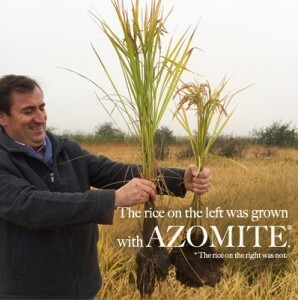 Available for a variety of applications, AZOMITE® can be used to remineralize nutrient-depleted soils and is OMRI listed for certified organic production. 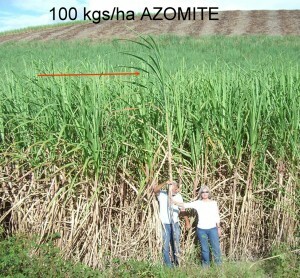 Shrubs and trees may benefit from the unique trace minerals and elements in AZOMITE®. 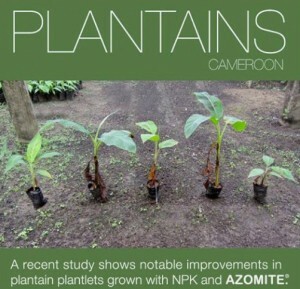 Researchers report diseased trees have shown significant improvement with the use of AZOMITE® and reported the general overall vigor of shrubs and trees has been enhanced. 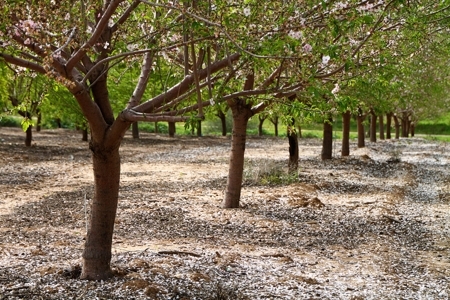 Apply annually to all trees on ground surface under the drip line at the rate of 1 to 5 pounds (0.5 kg – ~ 3 kg), depending on the tree size. Double the application for decline or blight stricken trees. For grapes, apply 1/2 lb. to 1 lb. (~ 0.5 kg) to the soil around each plant and lightly till into soil. Flowers, plants and vegetables may all benefit from the trace minerals in AZOMITE®. Gardeners report increased germination rates, improved yield, more and brighter colored flower blossoms, an increase in resistance to pests and disease and tastier vegetables. 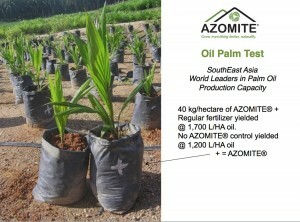 Higher Brix readings (a measurement of the quality of the sugars and proteins in a plant’s sap) have been reported in vegetables grown with AZOMITE®. 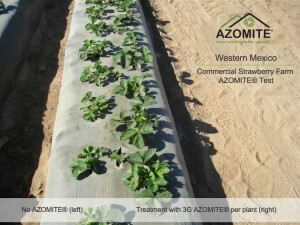 When preparing soil, customers have reported an average of 30% improvement with AZOMITE® treatment at the rate of 1/4 cup (60 grams) per plant. For larger areas, we recommend two 20 kg/44 lb bags per acre (based on rows approximately 18″ (46 cm) apart with plants 12″ (30 cm) apart). If the bed is established, sprinkle around each plant. AZOMITE® should be applied with compost, humus, manures, or other fertilizers to provide additional levels of nitrogen, phosphorus, and potassium. 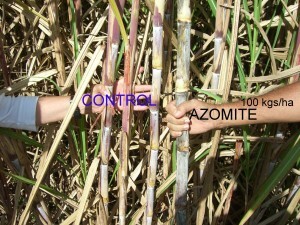 AZOMITE® will not burn plants. For houseplants, mix 1 teaspoon per 12 inch (5 grams per 30 cm) pot diameter with potting soil before planting. Give 1 teaspoon/5 grams quarterly thereafter. For roses, start with 1/4 lb./120 grams to the soil around each plant and lightly till into soil.